CHICAGO/WASHINGTON (Reuters) - The latest version of Boeing Co's best-selling 737 family - a global industry workhorse - has again been thrust into the spotlight after a fatal crash in Ethiopia, months after a deadly crash involving an identical brand-new jet in Indonesia. Boeing's shares lost 12 percent in the weeks following the Lion Air crash, but have more than recouped those declines, closing on Friday at $422.54, 18 percent higher than before the Oct. 29 incident in Indonesia. 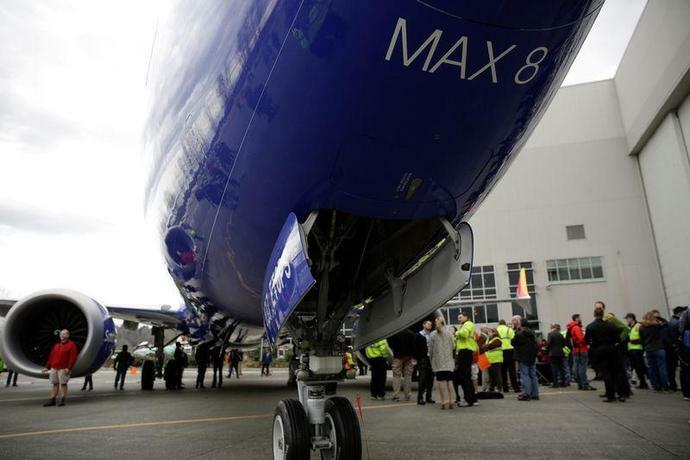 Boeing's 737 MAX is the newest version of a jet that has been a fixture of passenger travel for decades and the cash cow of the world's largest aircraft maker, competing against Airbus SE's A320neo family of single-aisle jetliners. Former NTSB Chairman Mark Rosenker said the catastrophic crashes of two new airplanes soon after the 737 MAX 8 was introduced were "highly unusual" and both had broad similarities in that they went down soon after takeoff. While it is unclear if there is a direct link, "this is now an extraordinary issue" for aviation safety officials to grapple with and will prompt a sweeping investigation to determine if there are common issues, Rosenker said. The company said it is focused on "supporting" Ethiopian Airlines and "will look for an opportunity to mark the new plane with the world in the near future."